Samaritan House is a respected program serving the poor in San Mateo County with hot meals, clothing, counseling, and a free health clinic. 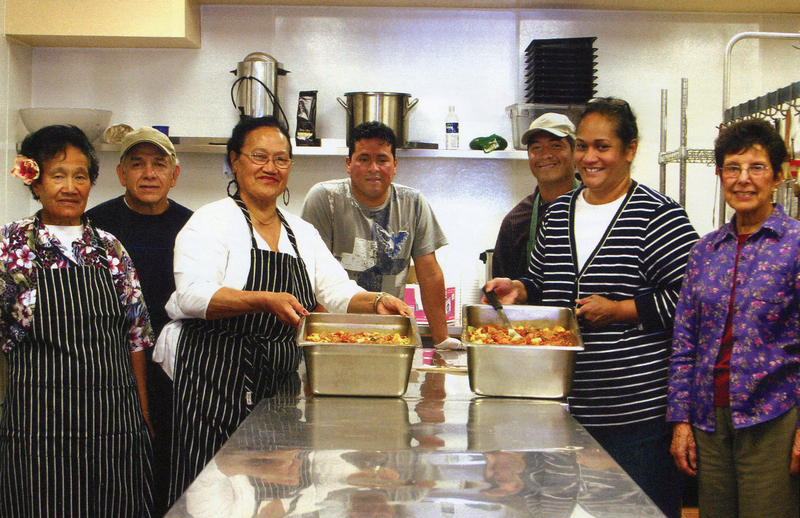 The food program has a central kitchen which served 125,000 meals in the past year. The truck that does the distribution of hot meals to four sites is a workhorse and needed to be replaced. A PVF donor gave funds for a new truck. The grant was made “the usual way” for PVF: we know the agency and the director, we have funded before, we have made site visits. Thus this was a paperless grant with no hurdles. To say “thank you” the volunteers and staff of the Samaritan House central kitchen held a tailgate party where we all ate lunch from the back of the truck. The truck driver said “this is special” as he stood with pride next to his new truck. This entry was posted in Uncategorized and tagged grantmaking, grassroots, poverty, San Mateo County. Bookmark the permalink.